Sauve's Outdoor Services is large enough to fulfill all your needs, but small enough to offer personalized service. Sauve's Outdoor Services started as Brian's Plowing in 1990. Business went well so we expanded our offerings to include lawn and landscaping services and officially became Sauve's Outdoor Services on April 21, 1999. In order to better meet our customer's needs, we continued expanding and added parking lot sweeping in 2001, pavement marking services in 2002, residential seal coating in 2007, commerical seal coating and crack sealing in 2008 and most recently, saw and seal in 2011. We are currently licensed with the MN Department of Agriculture for fertilizer and herbicides application. Making a good first impression and ensuring safety is an important concern for property owners today. 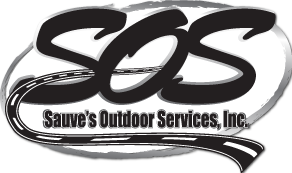 Let Sauve's Outdoor Services do the work for you! Check out our profile on Blue Book!